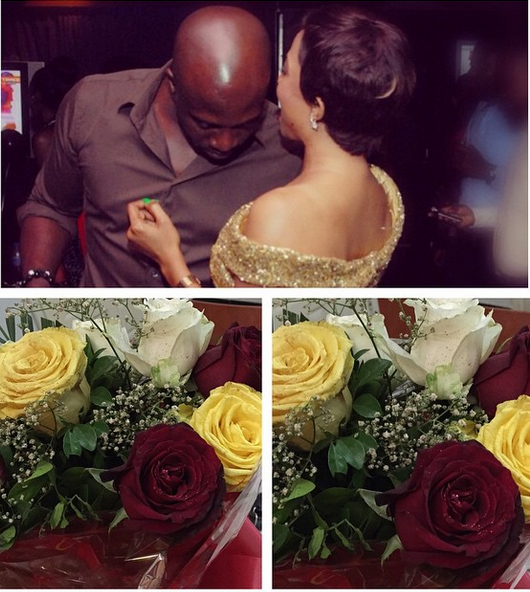 Toke Makinwa has opened up on her one-year-old marriage to Maje Ayida, telling Encomium Magazine what she cherishes most about him and how she has changed since marriage. She also clears up the issue of her secret marriage, and the greatest thing about being married. On her marriage being a year old? It is like closing your eyes and opening them, that’s how it feels clocking one. We woke up one morning and realized that it is a year already. It is really unbelievable. We have been through a lot. If you are married, you will understand the first year is the most difficult time in marriage. We have had our own fair share, but we somehow pulled it together. That is why we are still here. What actually happened? It seems you deceived people that you were not getting married to your husband again and before we knew it, you were married to him? We have passed that now. We are two people trying to find our way around life. Sometimes you are happy, sometimes you are not. I think it was because I was a public figure that was why it went far like that. A lot of people go through it, they break up to make up. Boyfriend and girlfriend break up and still come together. Husband and wife fight. There was no deceit. We are now together, we have been together for a year. What do you cherish most about him? We are different. He is the calm one, he is a bit quiet. If anyone wants to take advantage of anyone of us, there is always that voice of reasoning that will calm things down and when I feel he is keeping too quiet, I voice out. It is a mix. I think that is exactly how God fashion things. What has changed about you since you got married? I don’t think anything has changed, nothing has changed. I don’t think I really have to answer that question, people that know me should do so. When God says it is time.